Second thoughts in the middle of a crisis. Until last September, when the banking industry came crashing down and depression loomed for the first time in my lifetime, I had never thought to read The General Theory of Employment, Interest, and Money, despite my interest in economics. I knew that John Maynard Keynes was widely considered the greatest economist of the twentieth century, and I knew of his book's extraordinary reputation. But it was a work of macroeconomics--the study of economy-wide phenomena such as inflation, the business cycle, and economic growth. Law, and hence the economics of law--my academic field--did not figure largely in the regulation of those phenomena. And I had heard that it was a very difficult book, which I assumed meant it was heavily mathematical; and that Keynes was an old-fashioned liberal, who believed in controlling business ups and downs through heavy-handed fiscal policy (taxing, borrowing, spending); and that the book had been refuted by Milton Friedman, though he admired Keynes's earlier work on monetarism. I would not have been surprised by, or inclined to challenge, the claim made in 1992 by Gregory Mankiw, a prominent macroeconomist at Harvard, that "after fifty years of additional progress in economic science, The General Theory is an outdated book. . . . We are in a much better position than Keynes was to figure out how the economy works." We have learned since September that the present generation of economists has not figured out how the economy works. The vast majority of them were blindsided by the housing bubble and the ensuing banking crisis; and misjudged the gravity of the economic downturn that resulted; and were perplexed by the inability of orthodox monetary policy administered by the Federal Reserve to prevent such a steep downturn; and could not agree on what, if anything, the government should do to halt it and put the economy on the road to recovery. By now a majority of economists are in general agreement with the Obama administration's exceedingly Keynesian strategy for digging the economy out of its deep hole. Some say the government is not doing enough and is too cozy with the bankers, and others say that it is doing too much, heedless of long-term consequences. There is no professional consensus on the details of what should be done to arrest the downturn, speed recovery, and prevent (so far as possible) a recurrence. Not having believed that what has happened could happen, the profession had not thought carefully about what should be done if it did happen. Baffled by the profession's disarray, I decided I had better read The General Theory. Having done so, I have concluded that, despite its antiquity, it is the best guide we have to the crisis. And I am not alone in this judgment. Robert Skidelsky, the author of a superb three-volume biography of Keynes, is coming out with a book titled Keynes: The Return of the Master, in which he explains how Keynes differed from his predecessors, the "classical economists," and his successors, the "new classical economists" and the "new Keynesians"--and points out that the new Keynesians jettisoned the most important parts of Keynes's theory because they do not lend themselves to the mathematization beloved of modern economists. Skidelsky's summary of what is distinctive in Keynes's theory is excellent. Skidelsky's book is flawed by its insistence on asking what Keynes would say if he were alive today (to which the only sensible answer is that no one knows), and more seriously by its insistence that "deep down," Keynes "was not an economist at all"--that he "put on the mask of an economist to gain authority, just as he put on dark suits and homburgs for life in the City" (London's Wall Street). Keynes was the greatest economist of the twentieth century. To expel him from the profession is to confirm the worst prejudices of present-day economists by embracing their bobtailed conception of their field. The General Theory is a hard slog, though not because it is mathematical. There is some math, but it is simple and, with the exception of the formula for the "multiplier" (of which more shortly), it is incidental to Keynes's arguments. A work of elegant prose, the book sparkles with aphorisms ("It is better that a man should tyrannize over his bank balance than over his fellow-citizens") and rhetorical flights (most famously that "madmen in authority, who hear voices in the air, are distilling their frenzy from some academic scribbler of a few years back"). But it also bristles with unfamiliar terms, such as "unit-good" (an hour's employment of ordinary labor), and references to unfamiliar economic institutions, such as a "sinking fund" (a fund in which money is accumulated to pay off a debt). And it brims with digressions, afterthoughts, and stray observations, such as: "the two most delightful occupations open to those who do not have to earn their living [are] authorship and experimental farming." Two important chapters, dealing with the "trade cycle" (that is, the business cycle--booms and busts) and with mercantilism, usury, and thrift, are deferred to the last part of the book, which is misleadingly titled "Short Notes Suggested by the General Theory." It is an especially difficult read for present-day academic economists, because it is based on a conception of economics remote from theirs. This is what made the book seem "outdated" to Mankiw--and has made it, indeed, a largely unread classic. (Another very distinguished macroeconomist, Robert Lucas, writing a few years after Mankiw, dismissed The General Theory as "an ideological event.") The dominant conception of economics today, and one that has guided my own academic work in the economics of law, is that economics is the study of rational choice. People are assumed to make rational decisions across the entire range of human choice, including but not limited to market transactions, by employing a form (usually truncated and informal) of cost-benefit analysis. The older view was that economics is the study of the economy, employing whatever assumptions seem realistic and whatever analytical methods come to hand. Keynes wanted to be realistic about decision-making rather than explore how far an economist could get by assuming that people really do base decisions on some approximation to cost-benefit analysis. The General Theory is full of interesting psychological observations--the word "psychological" is ubiquitous--as when Keynes notes that "during a boom the popular estimation of [risk] is apt to become unusually and imprudently low," while during a bust the "animal spirits" of entrepreneurs droop. He uses such insights without trying to fit them into a model of rational decision-making. speculator, polemicist, and journalist. He lived in the company of writers and was an ardent balletomane. 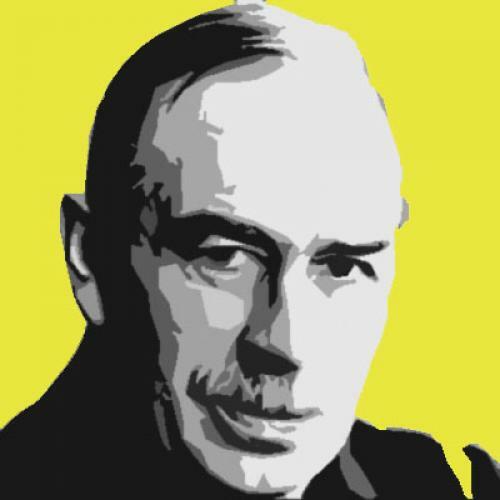 Keynes's theory, and its application to our current economic plight, is best understood if one bears in mind one historical fact and three claims that he made in the book. The historical fact is that England, between 1919 and 1939, experienced persistent high unemployment--never less than 10 percent, and 15 percent in 1935, when Keynes was completing his book. Explaining the persistence of unemployment was the major task that Keynes set himself. Though he famously declared that "in the long run, we are dead," he tried to solve a problem that, already when he wrote, had had a pretty long run. The three claims are, first, that consumption is the "sole end and object of all economic activity," because all productive activity is designed to satisfy consumer demand either in the present or in the future. "Consumption" is not in the title of the book, however, because the only thing that interested Keynes about it was how much of their income people allocated to it--the more the better, as we will see. The second claim is the importance (and the deleterious effect) of hoarding. People do not save just to be able to make a specific future expenditure; they may also be hedging against uncertainty. And the third claim, related to the second, is that uncertainty--in the sense of a risk that, unlike the risk of losing at roulette, cannot be calculated--is a pervasive feature of the economic environment, particularly with respect to projects intended to satisfy future consumption. A nation's annual output, which is also the national income, is the market value of all the goods (and services, but to simplify the discussion I will ignore them here) produced in a year. These goods are either consumption goods, such as the food people buy, or investment goods, such as machine tools. What people do not spend on consumption goods they save: income minus consumption equals savings. Since income minus consumption also equals investment, savings must, Keynes insists, equal investment. But equating savings with investment is confusing. If you stuff money under your mattress, you are saving, but in what sense are you investing? If you buy common stocks, you are investing, but the contribution of your investment to the productive capital employed in building a factory is attenuated. At the very least, we should (and Keynes implicitly does) distinguish between enabling productive investments and actually making them; or, equivalently, between passive investment and active investment. If you deposit some of your savings in a bank, the bank--not you--will decide whether to lend the money to a businessman to invest in his business (or to an individual to invest in buying a capital asset, such as a house). Still, the money is invested. Even the money you stuff under your mattress can be considered a form of investment, for in all likelihood it will be spent eventually (though perhaps not for generations), and thus, like all investment, it is an aid to future consumption. But as in this example, passive investment may take a long time to stimulate active investment. The lag can retard economic growth. Income spent on consumption, in contrast to income that is saved, becomes income to the seller of the consumption good. When I buy a bottle of wine, the cost to me is income to the seller, and what he spends out of that income will be income to someone else, and so on. So the active investment that produced the income with which I bought the wine will have had a chain-reaction--what Keynes calls a "multiplier"--effect. For Keynes, in other words, it is consumption, rather than thrift, that promotes economic growth. And here the second key claim of Keynes kicks in: that people often save with no particular aim of future spending--they hoard. Keynes mentions a host of reasons why people save that may not promote active investment (he also discusses the analogous motives of businesses), at least in the short run. Savers may want to "bequeath a fortune," "satisfy pure miserliness," "build up a reserve against unforeseen contingencies," "enjoy a sense of independence and the power to do things, though without a clear idea or definite intention of specific action," or, implicitly, obtain a reputation for being thrifty. (This latter motive is reminiscent of the "Protestant ethic" of which Max Weber wrote.) Since Keynes was centrally concerned with unemployment, he was suspicious of saving because, as we just saw, the greater the percentage of income that is consumed rather than saved, the greater the demand for goods, and therefore the greater output, and so the lower the unemployment rate. But it is here that Keynes's equating saving with investing becomes particularly confusing. Isn't investing a good thing? It is what drives income. And if investment is a good thing, mustn't saving, being synonymous with investing (as Keynes has told us), be a good thing, too? Keynes's answer, though it is not stated as clearly as one would wish, is that investing increases output, and therefore employment, only when it finances the creation of productive capital. When it takes the form of hoarding, the link between saving and promoting economic activity is broken, or at least frayed. The third claim that I am calling foundational for Keynes's theory--that the business environment is marked by uncertainty in the sense of risk that cannot be calculated--now enters the picture. Savers do not direct how their savings will be used by entrepreneurs; entrepreneurs do, guided by the hope of making profits. But when an investment project will take years to complete before it begins to generate a profit, its prospects for success will be shadowed by all sorts of unpredictable contingencies, having to do with costs, consumer preferences, actions by competitors, government policy, and economic conditions generally. Skidelsky puts this well in his new book: "An unmanaged capitalist economy is inherently unstable. Neither profit expectations nor the rate of interest are solidly anchored in the underlying forces of productivity and thrift. They are driven by uncertain and fluctuating expectations about the future." Only what Keynes called "animal spirits," or the "urge to action," will persuade businessmen to embark on such a sea of uncertainty. "If human nature felt no temptation to take a chance, no satisfaction (profit apart) in constructing a factory, a railway, a mine or a farm, there might not be much investment merely as a result of cold calculation." But however high-spirited a businessman may be, often the uncertainty of the business environment will make him reluctant to invest. His reluctance will be all the greater if savers are hesitant to part with their money because of their own uncertainties about future interest rates, default risks, and possible emergency needs for cash to pay off debts or to meet unexpected expenses. The greater the propensity to hoard, the higher the interest rate that a businessman will have to pay for the capital that he requires for investment. And since interest expense is greater the longer a loan is outstanding, a high interest rate will have an especially dampening effect on projects that, being intended to meet consumption needs beyond the immediate future, take a long time to complete. The "sinking funds" I mentioned illustrate institutional hoarding: money is accumulated to pay off a debt in the future rather than being spent, and its unavailability for investment causes interest rates to rise. High interest rates discourage active investment while making passive investment attractive, and thus deliver a one-two punch to consumption. True, high interest rates discourage the hoarding of cash by increasing the opportunity cost of such hoarding, but they also encourage forms of passive investment, such as purchasing government bonds, that may have only a remote effect in encouraging active investment. Keynes's analysis provides an explanation--though there is debate among economists whether it is the correct one--for England's persistent high unemployment in the interwar period, or more precisely for the component that represented involuntary unemployment, the plight of unemployed workers who would have preferred to work at a wage below the prevailing rate than to be on the dole. One might think that wages would have fallen to a level at which anyone who wanted a job could have found one. But Keynes pointed out that since workers are a high proportion of all consumers, a fall in the wage level will reduce incomes, and therefore reduce consumption and investment, unless prices fall proportionately. They would be likely to fall somewhat, because producers' labor costs will be lower. and actually cutting workers' wages to make room for the unemployed is a surefire formula for industrial strife. And workers are not fungible. A factory that employs 100 highly skilled workers may have a lower average cost of production than one that employs 120 less-skilled workers at a lower wage. Only if demand for goods is high may the market have room for a firm that, because it employs those less skilled workers, has higher costs of production than the existing firm. Thus a high level of involuntary unemployment could be, as Keynes showed, an equilibrium, rather than a temporary result of the business cycle. His analysis casts a particularly bright light on the cyclical downturns that we call recessions, or in extreme cases depressions. For when the demand for goods and services falls, as in the present downturn, the economic environment becomes unsettled and even the near future becomes unpredictable. This dampens businessmen's animal spirits and causes consumers to hoard--and businessmen as well. For when the urge to action deserts them, they build up their cash balances, in lieu of active investment, in order to hedge against uncertainty. Owing to uncertainty, businessmen even in the best of times lack "strong roots of conviction" in their estimate of what the future holds, and so a sudden change in economic conditions can paralyze them. If so, a downward spiral will develop, as falling demand and falling investment reinforce each other, causing layoffs that reduce incomes and therefore consumption and production, and so induce more layoffs. the short run, may be tepid. Fortunately, there is more that government can do to arrest a downward economic spiral besides pushing down interest rates. It can offset the decline in private consumption and investment in a recession or a depression by increasing public investment. When we say that the government builds highways, we mean it buys highways from private contractors. And the more it buys, the more that investment--and because of the multiplier effect, the more that income, output, and employment--are stimulated. And because private decisions to invest and to consume are influenced by confidence in the future, or the lack thereof, the government must do everything it can to convince businessmen and consumers that it is resolute and competent in working for economic recovery. An ambitious public-works program can be a confidence builder. It shows that government means (to help) business. "The return of confidence," Keynes explains, "is the aspect of the slump which bankers and businessmen have been right in emphasizing, and which the economists who have put their faith in a ‘purely monetary' remedy have underestimated." In a possible gesture toward Roosevelt's first inaugural ("we have nothing to fear but fear itself"), Keynes remarks upon "the uncontrollable and disobedient psychology of the business world." But for a confidence-building public-works program to be effective in arresting an economic collapse, the government must be able to finance its increased spending by means that do not reduce private spending commensurately. If it finances the program by taxation, it will be draining cash from the economy at the same time that it is injecting cash into it. But if it borrows to finance the program (deficit spending), or finances it with new money created by the Federal Reserve, the costs may be deferred until the economy is well on the way to recovery and can afford to pay them without endangering economic stability. When investors passively save rather than actively invest, government can borrow their savings (as by selling them government bonds) and use the money for active investment. That is the essential Keynesian prescription for fighting depressions. Keynes commends FDR for having destroyed agricultural stocks during the Great Depression, since sales from existing inventories do not stimulate active investment, but are actually a form of disinvestment. He even discusses sympathetically, though ultimately he rejects, the curious proposal of "stamped money," whereby people would be required to have their currency stamped periodically at a government office in order to remain legal tender, because the bother of having to get one's money stamped would have the effect of a tax on hoarding. All this may seem like an incitement to profligacy, consistent with Keynes's rather bohemian private life as a charter member of the Cambridge Apostles and the Bloomsbury group. But nothing in his theory limits consumption to the purchase of frivolous private goods, or indeed to private goods of any kind. I gave the example of a public highway; other examples are the purchase of military equipment for national defense and the public subvention of education and art. And while he famously (or notoriously) argued the value of unproductive projects--or so they would seem to us--such as the building of the Egyptian pyramids, on the ground that they provided employment, which increased consumption (the workers, even if they were slaves, had to be fed and clothed and housed), he preferred that governments undertake productive projects. Correctly anticipating the rapid growth of living standards, moreover, Keynes predicted that within a century people's material wants would be satiated, and so per capita consumption would stop growing. People would work less, but only because their need for income, and more important their desire for it, was less. And then the challenge to society would be the management of unprecedented voluntary leisure. This was a popular 1930s theme--think of Huxley's Brave New World--but it underestimated the ability of business to create new wants, and new goods and services to fulfill them. That was merely a mistake, an oddity in Keynes's belief in the possibility of perpetual boom. He has wise words, which Alan Greenspan and Ben Bernanke could with profit have heeded earlier in this decade, about the need to raise interest rates to prick an asset-price bubble before it gets too large. Yet just a few pages earlier he remarked that "the remedy for a boom is not a higher rate of interest but a lower rate of interest! For that may enable the so-called boom to last." (That may have been what Greenspan thought!) The statements can be reconciled by observing that as long as there is involuntary unemployment, low interest rates, by stimulating active investment and therefore production without raising labor costs, should not produce inflation. But we have just seen, in the United States of the 2000s, how even if labor costs are steady, low interest rates can produce an asset-price inflation (the housing and credit bubbles) that can precipitate an economic collapse. Keynes had earlier in his career written prophetically about the potentially disastrous effects of inflation. There is almost no mention of inflation in The General Theory, but he does say what many of his successors forgot--that when an economy no longer has any involuntary unemployment, further efforts to stimulate demand will merely cause inflation. Although there are other heresies in The General Theory, along with puzzles, opacities, loose ends, confusions, errors, exaggerations, and anachronisms galore, they do not detract from the book's relevance to our present troubles. Economists may have forgotten The General Theory and moved on, but economics has not outgrown it, or the informal mode of argument that it exemplifies, which can illuminate nooks and crannies that are closed to mathematics. Keynes's masterpiece is many things, but "outdated" it is not. So I will let a contrite Gregory Mankiw, writing in November 2008 in The New York Times, amid a collapsing economy, have the last word: "If you were going to turn to only one economist to understand the problems facing the economy, there is little doubt that the economist would be John Maynard Keynes. Although Keynes died more than a half-century ago, his diagnosis of recessions and depressions remains the foundation of modern macroeconomics. His insights go a long way toward explaining the challenges we now confront. . . . Keynes wrote, ‘Practical men, who believe themselves to be quite exempt from any intellectual influence, are usually the slave of some defunct economist.' In 2008, no defunct economist is more prominent than Keynes himself."